A simple and cost effective soup made in less than 15 minutes. Heat water, CONTINENTAL Professional Gluten Free Beef & Vegetable Soup Mix and potato in a large saucepan and bring to the boil, stirring continuously. Simmer for 10 minutes or until potato is tender. Add peas and cook for a further 2-3 minutes. 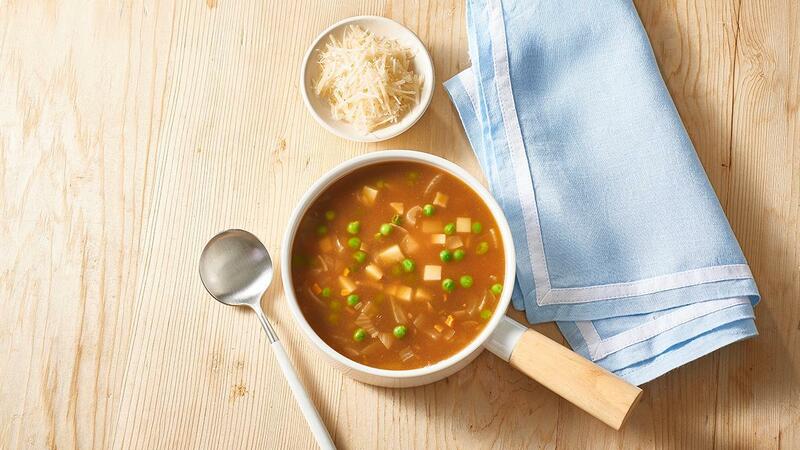 Serve soup garnished with parmesan. Add cooked beef mince to recipe for more protein.